Crystal Lake campground lies in a bowl surrounded by mountains on three sides, the fourth side providing beautiful vistas to the south. The effects from the Curve Fire of 2002 can still be seen in the many burned tree trunks. New growth has filled in, an even the old trunks provide shelter to birds and other creatures. 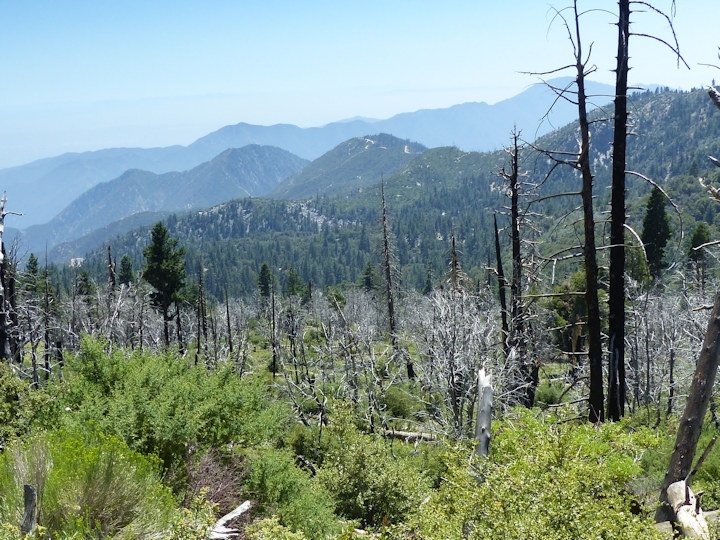 We will have a walk exploring the recovery in chaparral and forest areas, to see first-hand what it takes for nature to recover.